SOME OF the videos from deep dive day are now available on our Vimeo page! Click on the image or link below. http://vimeo.com/39332654 Keynote "The Current State of the Desktop Virtualization Market"
http://vimeo.com/39306990 Don't Let Storage EAT your Virtualization ROI! * due to technical difficulties, these are presentations from previous meetings covering the same subject matter. There are no items to show in this view of the "SlideDecks" document library. Everything you really need to know about enterprise mobility management in 45 Minutes! If you’ve been anywhere near the end user computing space recently, then you’ve been hearing a lot of talk and hype about mobile device management, mobile app management, BYOD, consumerization, and dozens other new acronyms related to enterprise mobility management. There’s a lot of new information to dig through, so this keynote session will cut through the confusion and tell you what you really need to know. Jack Madden spends all day, every day with this stuff, so in 45 minutes he’ll give you the rundown of the important technologies, why you should care about them, and what to keep in mind when considering enterprise mobility management in your own environment. We are back again this year to at our new home on the 4th Floor of the Microsoft offices in Cambridge, at One Cambridge Center (1CC). Look for the big Microsoft sign on the top of the building where Main and Broadway merge. The entrance to use for the event is on Main Street, where there is another Microsoft sign. We will have an awesome lineup of sessions this year, including a dedicated track sponsored by Citrix and their Partners. We'll video the ones you miss for download after the event. Plus, this year we will have a separate sponsor hall for you to visit with the sponsoring companies. Come and learn about Virtualization at the top event in New England! 1CC is located right on top of the Kendall Square "T" Stop in Cambridge. Public transportation via MBTA Red Line is highly recommended. Directions, with a sample parking facility. Parking is expensive, but available nearby. (Parking facilites/rates near Kendall Square) If in a rush, there is parking at the Marriott Hotel, adjacent to 1CC on the Broadway side. Expect to pay $25/day. The MIT lots nearby will tow during the day. Street parking (if you find it) will be limited to a couple of hours by signage (you can't just keep feeding the same meter). ‭(Hidden)‬ Look at some of the awesome speakers at this event! Andrey Pozhogin is Senior B2B Product Marketing Manager for Kaspersky Lab North America. In this role he is responsible for all aspects of business product launches including scheduling, accountability and product delivery excellence. In his 4-year tenure at Kaspersky, Andrey has held a variety of positions at Kaspersky in Moscow and the US including Marketing Manager and Launch Manager for both consumer and corporate products. Matt Boyajian joined Liquidware Labs with over 13 years of experience on the desktop team for one of the nation's largest utility providers where he managed the virtualization initiative by leveraging Liquidware Labs' solutions. Liquidware Labs was pleased to introduce Matt as Sr. Solutions Architect in early 2011. Matthijs Gates is the Lead Program Manager on Microsoft Application Virtualization (App-V). Matthijs has worked on App-V since 2008. Prior to this role, he worked for many years as a Software Design Engineer at Microsoft on several technologies including operating systems, networking, multimedia, and television support. Matthijs holds numerous software patents. Matthijs currently lives outside Boston with his wife and two children. Jerry Shea has worked in the IT industry for over 35 years, and has been working with Citrix products since 1996 filling such roles as Citrix Administrator, Engineer, Architect and consultant. Joining Citrix at the beginning of 2007 Jerry is currently a Senior Virtualization Engineer delivering the vision of Citrix Delivery Clouds. Prior to working for Citrix Jerry worked for Compaq and then HP where he was responsible for developing collateral on integrating Citrix and HP products. Jerry ran the New England Citrix User Group for over 12 years, until handing over the role as president. A veteran in the software industry for over twenty years, Goodman has had successful management roles in a number of private and publicly held high-tech companies including RTO Software, VMware and DCA. Goodman is the author of two books published by M&T Publishing – Windows NT: A Developer’s Guide, and Building Windows 95 Applications, and has been a frequent contributor to several computer industry magazines. Goodman has also been awarded four patents. Tim Mackey is a community manager and evangelist for XenServer within the Citrix Open Source Business Office and is focused on server virtualization and cloud orchestration technical competencies. He joined Citrix through the Reflectent acquisition in 2006, and served as architect and developer for Citrix EdgeSight; an end user experience performance monitoring solution. In 2007, Mr. Mackey became technical product manager for the EdgeSight product line and then in 2009 product manager for the XenServer self-service virtualization components. Since that time, he has held various roles within the XenServer team, and speaks regularly on topics related to the design of large scale virtual environments. President of Virtualization Group Boston. Tim Mangan is the Founder of TMurgent Technologies LLP. Prior to launching TMurgent, Tim was with many software and/or hardware companies including Softricity, Sync Research, Tylink, Avanti Communications, Memotec, Teleglobe, Infinet, and ComputerVision. Somewhere in between he also did consulting work for the WAN side of a major US bank. At one point he was the President of the Frame Relay Forum, an international consortium of Communication Carriers, Vendors, and Users. Tim speaks at many conferences and has been awarded by Microsoft as a "Most Valuable Professional" for Virtualization and by Citrix as a "Citrix Technology Professional". Jamil Mneimneh is an SE for Kaspersky Labs, providing him with a wealth of real-world implementation experiences around virtualization and security. A Systems Engineer with Kaspersky lab. He has worked in the IT Security field in Atlanta, GA for nearly a decade, most of it has been spent evaluating performance of UTM, NIPS, and NextGen Firewalls from within an Agile engineering organization. Tyler Rohrer co-founded Liquidware Labs after leaving a key role within VMware's Enterprise Desktop Team. Previously, he was a partner at FOEDUS, which was acquired by VMware. Tyler heads up the Strategic Alliance program and is engaged in managing the company's relationships with major platform and storage partners. Todd is the New England Manager for SEs at Citrix. Todd has spoken at several of our events and is quite popular. Dan Stolts (The "ITProGuru") is a technology expert who is a master of systems management and security. He is proficient in many Microsoft products especially in the server area (Windows Server, System Center, Exchange, SharePoint, Virtualization, Etc) and holds many certifications including MCT, MCITP, MCSE, TS, etc. Dan is currently specializing in System Management and Security and is also very passionate about virtualization technologies. Dan is and has been a very active member of the community. 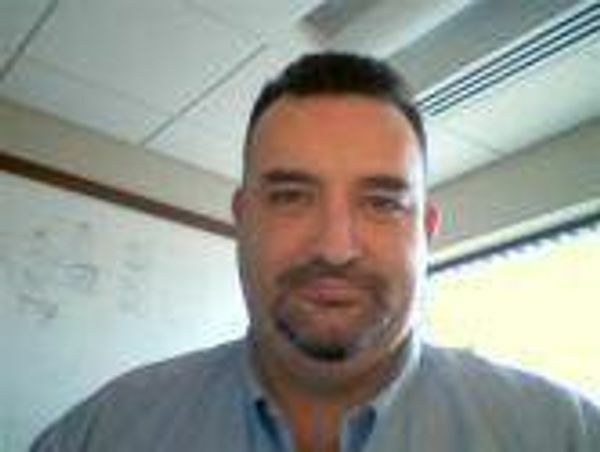 He is president of Boston User Groups, Founder of Virtualization Group Boston, Founder of North East Leaders and serves on many IT Community group boards. He is in the process of writing his first book on building technology communities. He is a believer in social networking and can be reached on twitter @ITProGuru. He has participated in many non-technology community groups such as: Rotary Club, Lions Club, local Chambers of Commerce and is a mentor for the local high schools. Dan is an enthusiastic advocate of technology and is passionate about helping others. Dan's lifelong passion has been and continues to be to help and teach others! George Symons brings over 20 years of storage experience to Gridstore as a member of its board of directors and CEO. Mr. Symons previously served as Chief Strategy Officer at Nexsan, resulting in its acquisition by Imation. Prior to Nexsan he held executive roles in storage companies including Xiotech Corporation (COO), EvoStor (CEO), Yosemite Technologies (CEO), EMC (CTO for Information Management), and Legato (CTO, VP of Development and Product Management). He has also held senior roles at FullTime Software, Software Research, PROCASE Corporation, and Sun Microsystems. Mr. Symons has bachelor degrees in Computer Science and Management Science from UCSD, and an MBA from UCLA. individuals and companies succeed in the cloud using Windows Azure. I am not representing any vendor. Rachel Zhu is a virtualization architect at NetApp. She designs and implements virtualization solutions and drives integration between storage and virtualization platforms. She authors many virtualization best practice and deployment technical papers for NetApp Solutions. Before joining NetApp, she was a senior software engineer for Nortel and HP Canada. Rachel received her Doctor of Medicine (M.D.) from Jiao Tong University medical school in China and a Master Degree of Computer Science from North Carolina State University in US. The Sixth Annual Virtualization Deep Dive Day is on. Bigger and Better than ever! Deep Dive Day is a multi-track event with experts from around the country providing great technical talks covering just about every form of virtualization there is. Whether you are new to virtualization, or want the deep technical details on the latest for server, desktop, application, networking, and storage virtualization, plus "The Cloud" and more, you don't want to miss this one day event. Click on the "Event Details" tab for details on the session content and speakers.